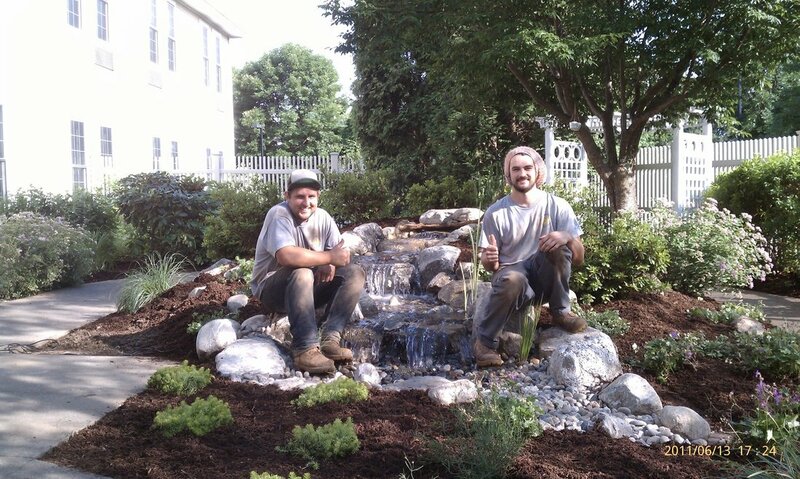 Looking for a great landscape idea in Northern CT, or Western Mass. ? It might be difficult to imagine a waterfall and stream without a pond. Where does the water go? 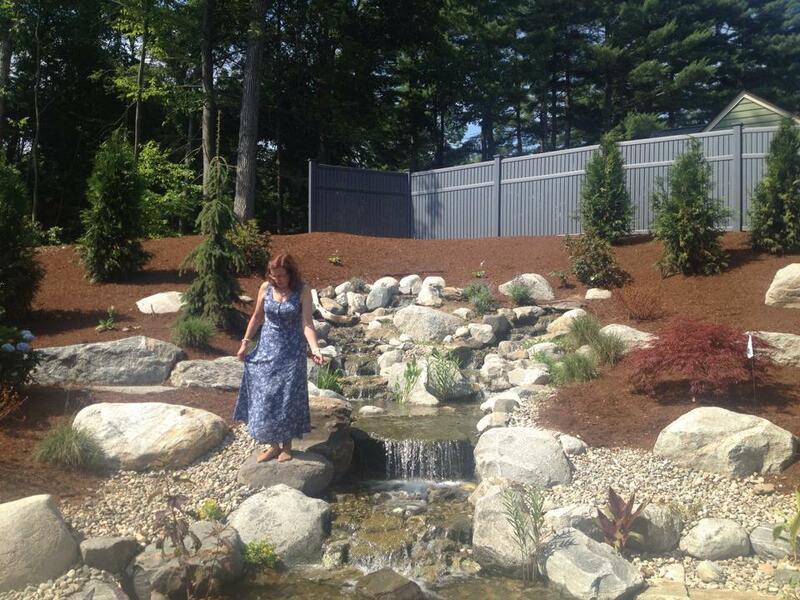 A Disappearing Backyard Pondless® Waterfall works much like a regular pond. The hole, deeper than a normal pond, is dug then lined with rock and gravel and filled with water. 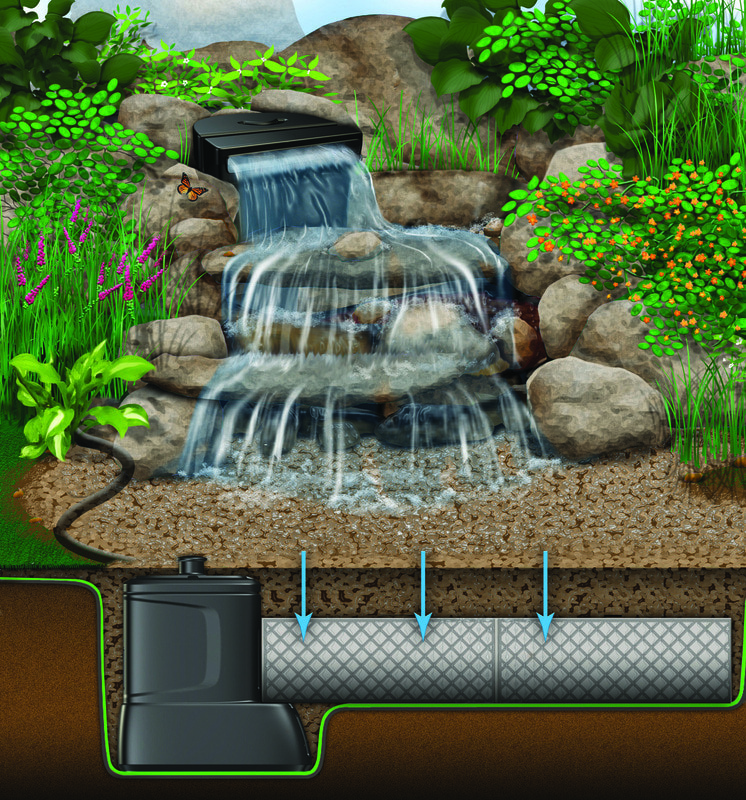 The water is then circulated from beneath the rocks and gravel by a pump that sits on the bottom, inside a Snorkel™ Vault and Centipede™ Module. A pipe runs from there up to a BioFalls™ Filter and into an overflowing waterfall, where it falls back into the reservoir. Since the water level never pools above the level of the rock and gravel fill, it gives the appearance of a waterfall without a pond, when in fact, the "pond" is there but not visible. The Pondless® Waterfall has made many water-lovers who were previously unable to indulge in the sweet sounds of falling water, very happy. It's a great alternative for those who are trying to get their feet wet, or looking to fit a little bit of paradise into their own backyard. 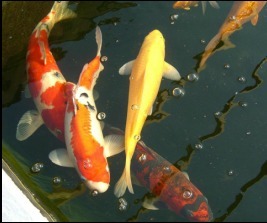 In other words, when all else fails…go Pondless®! Now, for those of you who want a backyard waterscape, but aren’t sure about a pond, there’s the pondless waterscape. 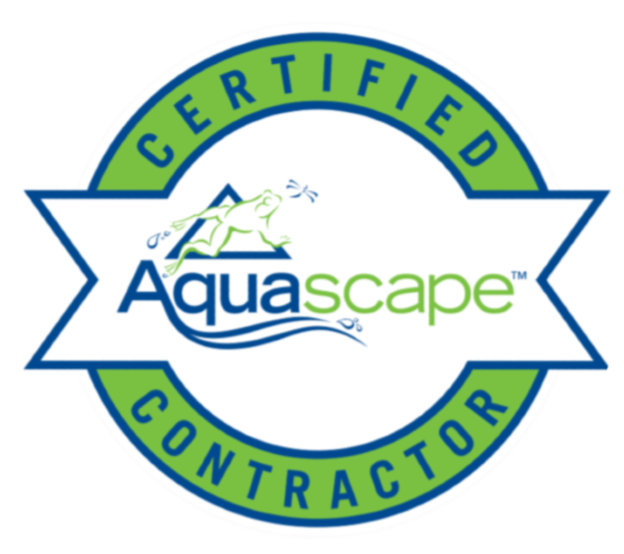 This unique waterscape system includes the waterfall, stream, rocks and gravel, and aquatic plants -- all of which you would normally have with a pond -- but without the pond and fish.